We hope to provide you with the best and most complete website for Lacrosse in Northern Virginia but we can't do it without your participation. Please create an account so that you can participate in this community. With this account you will be able to post comments in discussions, send us scores and game recaps as well as contribute to the NOVALacrosse.com History Project. We appreciate all of your feedback, so don't be shy --- please tell us what you think. NOVALacrosse.com has launched it's Mobile version beta! This mobile version of the site gives you quick and readable access to current schedules, team schedules and results. You can also submit scores using your mobile phone. We are planning many more features for this service including updates for games in progress as well as stats. Please cheeck it out. 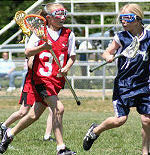 Northern Virginia is the hotbed for the fastest growing sport in the United States. 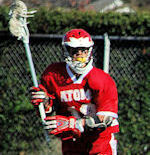 NOVALacrosse.com provides the most comprehensive web site supporting the lacrosse community in Northern Virginia. From the youngest and newest players to the high school stars of the Northern and Northwest regions, this is your one-stop provider for all of your information needs. 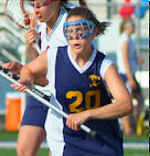 Click here for more about NOVALacrosse.com. 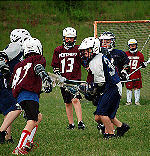 Lacrosse for the player, parent and fan.